This map displays territory of Russia. interesting map of Bayangol 1 cm to 1 km download for free. detailed map of Tsagan-Morin displayed. map of Ulus Khutym 1 cm to 1 km this. topographic map of Myla with gps calibration free download. 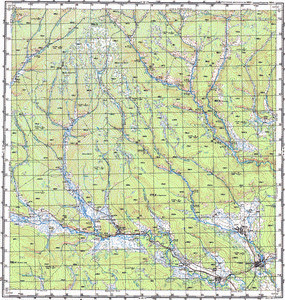 map of Imeni Stalina free download. detailed map of Bortoy displayed. map of Borto displayed. actual map of Zun-Adak presented. map of Daban with gps calibration for gps.